Although your G.P. should obviously be your first port of call whenever you feel unwell or have questions relating to a specific ailment, they are simply unable to conduct detailed blood screening and genetic testing on all their patients due to a combination of insufficient funds and lack of time. As such, the only way to uncover this information is to approach a private physician with the necessary connections. Obviously, as the results of these tests will be virtually indecipherable to the majority of patients, a big part of your physician’s job is to go through them in detail with you, illuminating problematic areas and suggesting what can be done to minimise risk. The importance of this stage cannot be understated; with the help of an experienced, informative and friendly professional, you will not only understand exactly what changes you can make in your life to benefit your future self, but also be confident in your ability to make them. 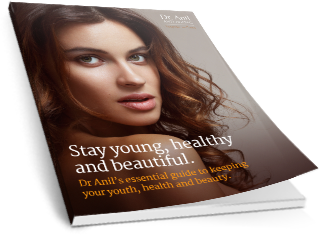 Far from simply listing the results of the various genetic/blood tests conducted and what they mean, at Dr. Anil Anti-ageing, we will help devise a treatment plan to suit your lifestyle. Should your blood tests indicate a change in diet could benefit you, for example, our nutritionist will develop a food programme with you to ensure you’re getting the things you need. In short, whatever results come back from your blood analysis and genetic testing, we’ll make sure you know exactly how to make the most of them. For more information about blood tests, genetic tests and how to spot the early warning signs of genetic disorders, just visit our Anti-Ageing Screening page, where you’ll also have a chance to order a free copy of my new guide, “Staying young and beautiful: An expert’s guide to controlling, combatting and delaying the ageing process”. 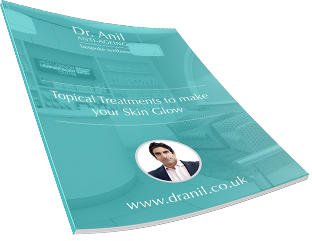 Packed with information on everything from dermal fillers to genetic testing, this guide is a must for all individuals who are passionate about staying young and healthy.